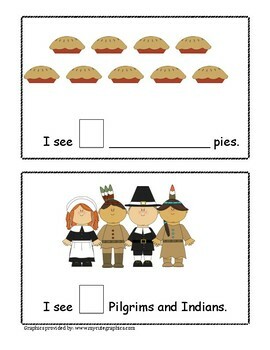 A wonderful multidisclipinary Thanksgiving mini book that encourages number sense and language arts. 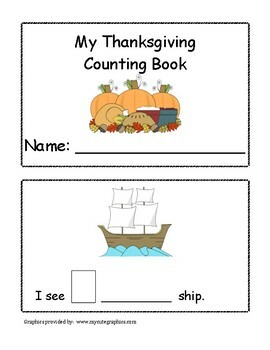 This book directs students to count and write the correct number of Thanksgiving items on each page. There is also a space to include an adjective on most of the pages. 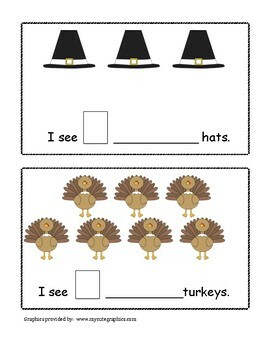 This would be an excellent enrichment tool for your high level learners and/or a whole group activity to introduce/practice adjectives.